Mokan & Nokan – MOKAN NOKAN TV is a 5-minute show aimed at early learners in preschool and kindergarten. We are very excited to announce a new project featuring Mokan and Nokan. MOKAN & NOKAN TV is a 5-minute show aimed at early learners in preschool and kindergarten. Each episode is designed to motivate, educate, and inspire children to learn while having fun. With catchy songs and great rhythms, Mokan and Nokan get children in the mood to learn. 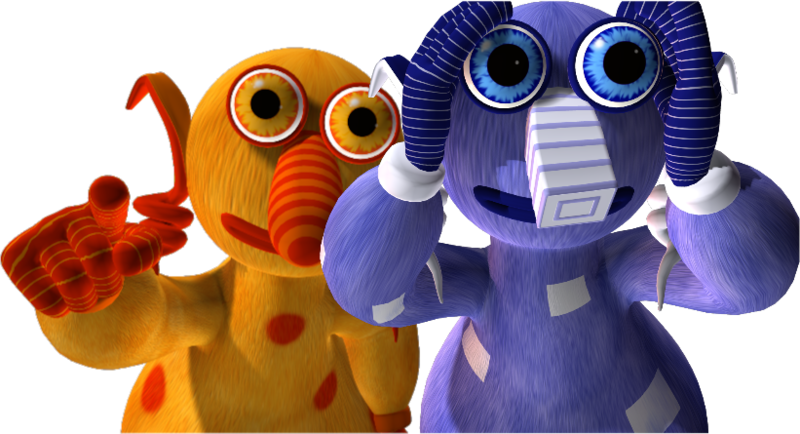 It’s time to board the Mokan Nokan spaceship and have some fun while learning!In January 2017 Eyes Wide Open Productions signed a agreement with Wonder Media group to create animated interactive Mokan and Nokan. Wonder Media group who’s CEO is Terry Thoren are a creative technology and production company dedicated to changing the way animation is created, produced, experienced and used. With offices in Los Angeles, Antwerp, and Abu Dhabi.Their AnimationNow! solution is the most intuitive and practical real-time character animation system in the world. Designed for both ease of use and flexibility, it can accommodate live video, multiple characters and puppeteers, real-time cameras, and much more. Watch the video below to see Mel Bell-Grey meeting Wonder Media at Mipcom 2016 for the first time.